For SMBs and Enterprises in need to deploy a GDPR-compliant hosted email solution with advanced security and anti-spam features, or SMBs seeking to minimize capital and operating expenses of their IT operations, Hosted Exchange 2016 by interworks.cloud plans offer the flexibility and robustness needed, with fully-customizable security features per end customer. Enterprise-level security and redundancy without the hassle of an on-premise server. Customizable security policy implementation tools and total control with anti-spam / anti-malware features management via each tenant’s own security portal. Advanced spam, virus and malware protection powered by SpamExperts. 101% Guaranteed delivery of incoming emails under any circumstances. Considerable cost savings and feature upgrades compared to previous Hosted Exchange plans. GDPR-compliant Hosted Exchange 2016 plans. 99.99% Uptime SLA. Free up your IT resources and give employees access to emails, calendars, contacts and more. Get business email, calendar, and contacts delivered on your PC, phone, and browser. Get a flexible cloud-hosted email solution that is GDPR-compliant, with strong anti-spam and anti-malware features that you can customize to your needs. Move your mail server to the cloud to decrease operating expenses. 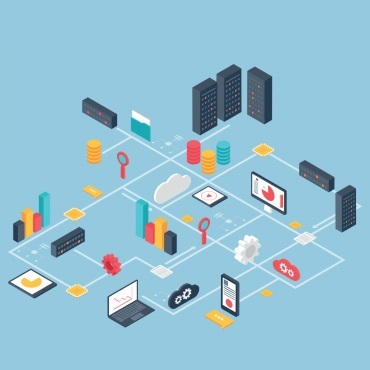 Avoid capital expenditure for new on-premise server hardware. Avoid investing time and money in upgrading your aging on-premise mail server. Hosted Exchange unlocks all the features and functionality of Outlook. 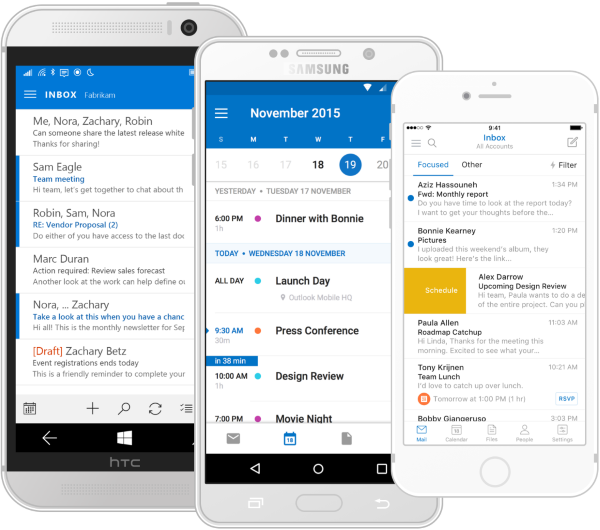 Push email and sync for iPhone®, Android®, and Windows Phone® puts email data at your fingertips. With Outlook on the web, log in and manage your mail from any web browser with instant updates to the desktop. Each organization needs to purchase just 1 x Hosted Exchange 2016 (email hosting plan). This plan essentially activates the Hosted Exchange 2016 service for you. Additional Domain/Subdomain in Hosted Exchange 2016: if you'd like to add multiple email domains or subdomains (by default, the service is activated with 1 email domain included). Extra Mailbox Storage (1 GB)​: Every Standard and every Professional Mailbox comes with 2 GB and 25 GB storage, respectively. If you'd like to add additional storage capacity to any number of mailboxes you may have, please use this addon to order the sum of additional space needed. You will later be able to expand any specific mailbox's capacity through your WORKSPACE panel (of this marketplace), until you assign all extra storage space purchased. Extra Maintenance Fee per mailbox, per domain: If your organization needs over 1000 mailboxes, there is a small service fee applicable to every mailbox per domain, over 1000. For instance, if you have 1100 mailboxes in domain A and 1050 mailboxes in domain B, you need to purchase 100+50=150 extra mailbox maintenance fees. Hosted Exchange 2016 Professional Mailbox: Please use this addon for purchasing Professional Exchange 2016 mailboxes. For the list of features, please click on the "Features" tab, above. Hosted Exchange 2016 Standard Mailbox​: Please use this addon for purchasing Standard Exchange 2016 mailboxes. For the list of features, please click on the "Features" tab, above. 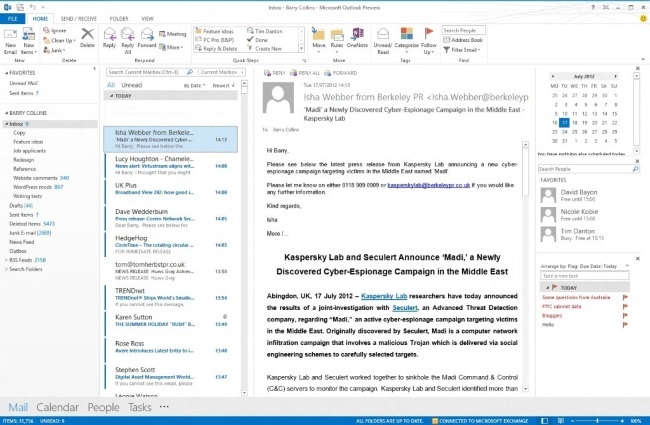 ...because it unlocks the personal information management (PIM) and workflow management tools that make Outlook the most popular email client. 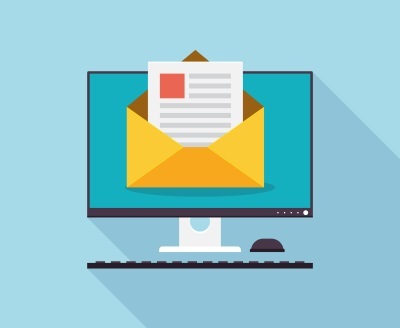 Experience all the features of Outlook on the web with Internet Explorer, Firefox, Chrome, Safari and newer versions, including mail notifications, calendar reminders, public folder, and global address list (GAL) access. With Hosted Exchange 2016 Professional by interworks.cloud you can keep your devices securely connected to Hosted Exchange 2016, keep your email, calendar and contacts at your fingertips, and continuously synchronize all your data everywhere, every-time. With the SpamExperts Outgoing Filter service you can get clear and concise reports indicating which users / accounts require your attention, automatically locking them. Legislative and control organizations are empowered to severely fine organizations for sending out unsolicited email. The SpamExperts Outgoing Filter is a robust solution which will prevent your organization from possible penalties for sending out spam. 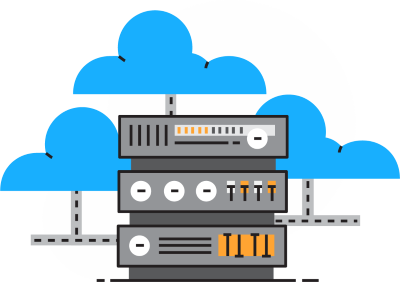 interworks.cloud Hosted Exchange 2016 Editions come with a specific storage size, which you can see in detail in the Editions and Pricing section. If more storage is needed, you can utilize the low-cost mailbox storage add-on to upgrade your initial purchase. Our new Hosted Exchange 2016 Standard Mailbox Plan comes with 2 GB of storage included, which is actually double the storage capacity or +42% in monetary value compared to the plan it replaces!